Arjunpuri in Qatar: Easy to remove ex-flame from life, but what about tattoos? I always wonder what will these celebs do when they split from their partners? Wait, I’m not talking without any reason. The point is these days getting tattoos of boyfriends and girlfriends has become a great trend. They undergo painful moments to show the world that they love their partners truly by getting their names or initials in the form of permanent tattoos. If they split, won’t the tattoos haunt them? Will they go under knife again to remove them? How problematic can tattoos become in one’s career is what I wonder. I used to see floral tattoos on my grandmother’s and my maternal aunts’ hands. They even had small dot tattoos on their forehead, as in Hinduism it is believed that it enhances spiritual well-being and is one of the chakras on the body. They thought it not only warded off evil, but also enhanced their beauty. Then I have seen some tribal women with tattoos and they are so elaborate and intricate that I wonder the amount of time and patience it might have taken for the artist and the amount of pain it caused for the person. After coming to Doha, I have seen most of my friends, who are westerners, donning tattoos. And I have heard that there is no prohibition against tattoo within the Catholic Church if the tattoo is not an image that is sacrilegious, blasphemous or obscene. And so far, I have not come across any Muslim friend with tattoos, as they are forbidden in Sunni Islam. And even Judaism forbids tattoos. Since it was a common practice for ancient pagan worshipers to tattoo themselves with religious iconography and names of gods, Judaism prohibited tattoos entirely in order to disassociate from other religions. Ok, coming back to the point, I have come across reports wherein celebs, including former Spice Girl Melanie Chisholm and Angelina Jolie, regretting for having tattoos. For Chisholm it is being caught by fans. She often gets spotted when she tries to relax incognito. The singer has 11 tattoos all over her body, including a large black cross on her left arm and a linked chain on her right. Tattoo of beloved’s name can be a proud thing to sport and ever wonder how tattoos cause problem? When celebs go out in incognito, people recognize them by their tattoos. If they land up in a plum role which requires them not to sport any tattoos, they have to use heavy make-up to disguise them every time they face the camera. For instance, recently, Deepika Padukone was asked to cover up her Ranbir tattoo on her nape by director Ashutosh Gowariker. The director would have not made a fuss if he was not shooting a period film, which had a backdrop of pre-Independence era. Playing the role of a freedom fighter in the story based on the Chittagong Uprising, Padukone was supposed to tie her hair in a bun which exposed her tattoo, which is usually covered by hair. Angelina Jolie inked her first tattoo at a very young age. Her first tattoo was a Japanese kanji for the word "Death" and was inscribed on her left back shoulder. It served as a reminder to her to live life to the fullest. She has since covered it up with an ancient Khmer script when she adopted her son, Maddox. The Blue Tongue Dragon is the first dragon tattoo Angelina inked on her body which she got while intoxicated in Amsterdam. She regretted doing it and has since covered it with a black Latin Cross tattoo. Next to the Latin Cross is a phrase in Latin: "Quod me nutrit me destruit", which means, "What nourishes me, destroys me." Then, she has a tattoo on inner left arm, a quotation from Tennessee Williams: "A prayer for the wild at heart, kept in cages". She had this tattoo done in the presence of her mother, Marcheline Bertrand. At Angelina's lower back, she has three tattoos: a tribal, a blue window and a tribal dragon. The 'tribal' design was done at the same period when she did the Kanji "Death" tattoo. 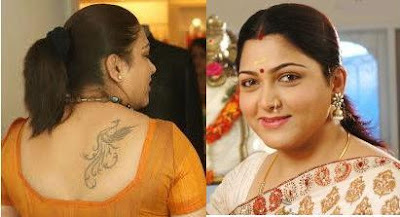 It is unclear as to the meaning of the 'tribal' tattoo, other than the possibility of it being an 'in' design when she had it inked. At the centre of her lower back is a 'tribal dragon' but now is partially covered by the Bengal Tiger tattoo. The 'window tattoo' refers to her once held view on life: "Wherever I am, I find myself looking out of the window, wishing I was somewhere else." The window has since been covered up by the tail of the Bengal Tiger. She had the window covered because she no longer subscribed to that view and she felt that she is "where she wants to be right now". Besides the Khmer script tattoo, the other prominent tattoo on Angelina's back is the Bengal Tiger tattoo. The tattoo spreads 30 cm long and 20 cm wide and was commissioned to commemorate her Cambodian citizenship. According to a report, it took Sompong Kanphai, the tattoo artist, two hours to complete the design which was done in Bangkok in 2004. While tattooing, the tattoo artist chanted ancient Buddhist hymn to bless the tattoo. A gothic letter tattoo "Know Your Rights" is between Angelina’s shoulder blades and the phrase is taken from the title of a song of her favorite band "Clash". Inside her right forearm is an Arabic script tattoo which means "Strength of Will". However some say it means "Determination". 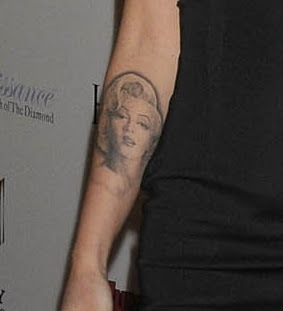 But whatever it means, Angelina's interpretation of the tattoo was revealed by her in an interview in a US television whilst promoting her film "Wanted". The Arabic tattoo is a cover up of the abstract tattoo she had together with her former husband Billy Bob Thornton. On Angelina's inside left wrist is a rune style tattoo of the letter 'H'. According to sources, it is to remind her of her brother, James Haven, whereas some say it is to signify her former boyfriend Timothy Hutton. Knowing her disposition to laser off any reminders of her past relationships, the former meaning is more plausible. On her left arm, Angelina had "Billy Bob" and a Black Dragon inked when she was with Billy Bob Thornton. When she divorced from him she removed "Billy Bob" by laser. After the removal of it, in an interview, she said: "I'll never be stupid enough to have a man's name tattooed on me again." N 11º 33' 0" E 104º 51' 00"
N 9º 2' 0" E 38º 45' 0"
S 22º 40' 26" E 14º 31' 40"
N 10° 46' 0" E 106º 41' 40"
N 43º 41' 21" E 07º 14' 28"
N 11º 33' 0" E 104º 51' 00" - pinpoint a spot near a pond somewhere near an airport in the Cambodian capital of Phomn Penh where, purportedly, Maddox, was born. N 9º 2' 0" E 38º 45' 0" - is the coordinate of a house in the Ethiopian capital of Addis Ababa where her daughter Zahara was born. S 22º 40' 26" E 14º 31' 40" - is the coordinate in Swakopmund (Namibian beach resort) where Angelina gave birth to her biological daughter with Brad Pitt, Shiloh in 2006. N 10° 46' 0" E 106º 41' 40" - refers to the coordinate in Ho Chi Minh City, Vietnam where her adopted son Pax Thien was born. The two new tattoos which both read N 43º 41' 21" E 07º 14' 28", were added later showing the birth locations of the hospital in the French city of Nice where her twins, Knox and Vivienne, were born in July. Finally, Angelina inked an intimate heart shape tattoo on her inner thigh for Brad Pitt. In an interview with MTV, when asked about the tattoo, Angelina confessed: "Um, it's for Brad". Then there is Megan Fox who has Old English text on her right scapula reading: "We will all laugh at gilded butterflies." This is a reference, not a complete quote, from Act V, Scene III of Shakespeare's tragedy King Lear. Megan is obviously a fan of stringing words together with her own personal meaning. Like the large Old English text on her left rib cage: “There once was a little girl who never knew love until a boy broke her HEART”. Megan is an obvious fan of Hollywood icon Marilyn Monroe and she has a popular image of Marilyn tattooed on her inner right forearm. On the inner aspect of her lower leg above her right ankle, she has a crescent moon overlapping a five pointed star. It is the one visibly coloured tattoo that she has. 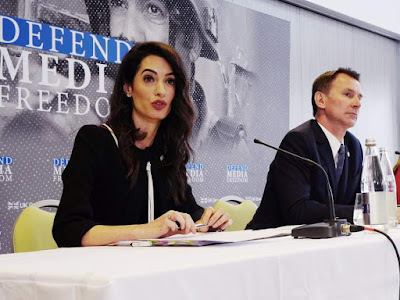 Megan had a long term on again off again relationship with actor Brian Austin Green that lasted six years before she married him in the summer of 2010. She has a script tattoo of his first name between her pubic bone and right hip. On the inside of Megan's left wrist is a tribal tattoo of two waves entwined like a yin and yang symbol. This tattoo has a bit of colour, but looks like black ink from a distance. On the back of her neck just below the hairline Megan has a black ink tattoo of the Chinese symbol of strength in calligraphy. It's a simple tattoo with a strong meaning. Leave that point, everybody knows that tattoos, like diamonds, last forever. When a person is a celeb and relationships don’t have a long shelf life, why should they risk with them? I sometimes feel that it is their valid proof of stupidity. Why do these text-holes annoy us?